‘Bunny boy 1’ is from a series of 13 unique photographs of a man, made-up and partly costumed and performing for the camera. Alternatively mock and serious, his masculinity is in uneasy relationship to his attire. He appears, in his soft pink ears, painted face and nails and with arms crossed, to exude a resigned pathos, sadly self-aware in his half-dressed state of the complexities of identity and its sometimes problematic processes of construction, negotiation and performance. In its symbolism the bunny costume is often associated with a highly sexualised objectification of femininity, however here the signs are less clear. 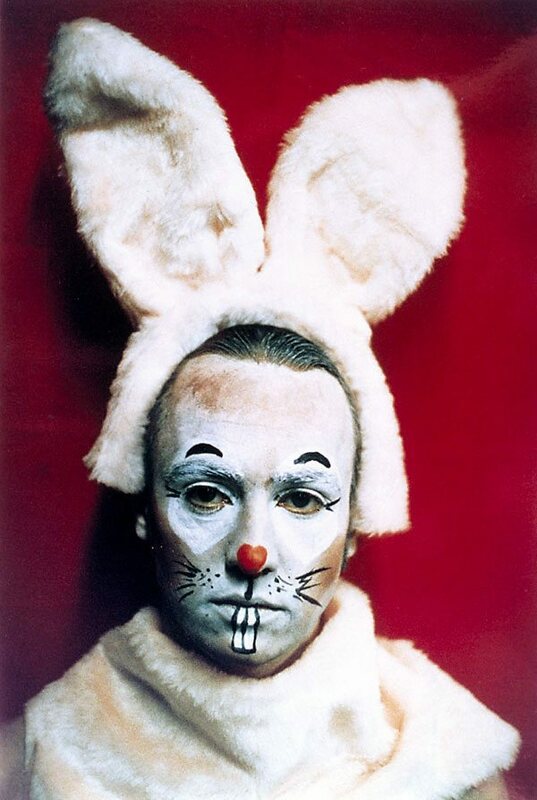 Bunny boy’s makeshift costume and vulnerable pose highlights an uncertain embrace of identity. His obvious ambivalence, particularly between a seemingly dumb acceptance and considered intention is strongly engaging; a dynamic which also marks the wider processes of Williams’s work.